In this quick overview we will look at basic definitions of NAS and SAN and also compare advantages of file-level vs block-level storage. NAS arrays are based on file-level storage. In this type of storage, the storage disk is configured with particular protocol (NFS, CIFS, and so on) and files are stored and accessed from it as such, in bulk. NAS is can be described as a bunch of disks arranged in a Raid and consisting of either SAS (serial attached SCSI) or Sata disks. SAN arrays are based on block-level storage. The raw blocks (storage-volumes) are created, and each block can be controlled like an individual hard drive. Generally, these blocks are controlled by the server-based operating system. Each of this block storage volumes can be formatted with file system of your choice.File-level storage advantages. SAN allows multiple servers to share a pool of storage. It making it appear to the server as if it were local or directly attached storage. File-level storage systems more suited for bulk file storage. File-level systems are more popular with NAS systems. File-level protocols are used to read and write variable-length files. Files are segmented into blocks before being stored on disk or tape. Common Internet File System (CIFS) and Network File System(NFS) are file-based protocols that are used for reading and writing to files across the network. CIFS is Windows based protocol and can be implemented on Linux/Unix based systems via SAMBA. 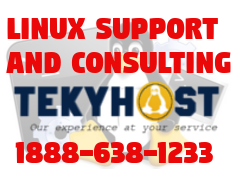 NFS is protocol that would be used on Linux/Unix based system. The file-based protocols are best suited for file-based applications. MS Office, SharePoint and so on just some of the examples.